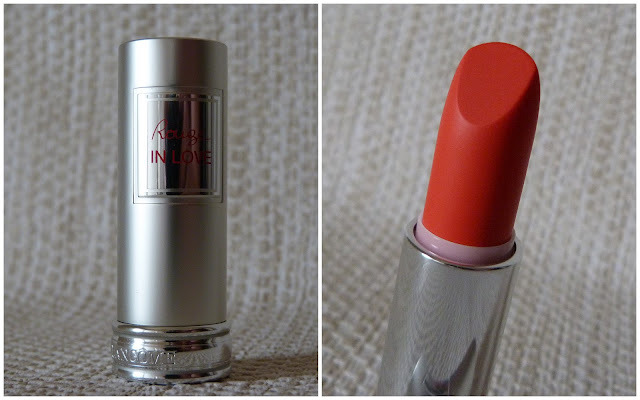 Lancome's Rouge in Love collection is made up of an impressive 24 shades which is split into three categories, "inspired by three different moments during the day of a modern, stylish woman". First is the Jolie Matins which is made up of light, sheer shades and sounds right up my street. They're identified with an "M" in the shade number. Second is Boudoir Time which has bright, vivid shades, perfect for evening time and are identified with a "B" in the shade name. Rounding out the collection is the Tonight is my Night set of shades consisting of intense, sophisticated shades, full of shine and has an "N" in the shade name. 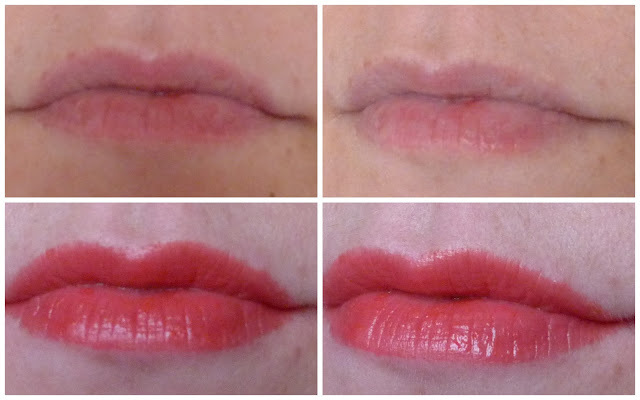 Today I'm talking about one of the brightest, no, the brightest lipsticks I've ever worn! It's the shade 146B Miss Coquelicot and is a stunning coral lipstick. As with the other Rouge in Love lipsticks I was sent to try, Miss Coquelicot is beautifully pigmented and glossy on application. It glides on the lips easily without any dragging and leaves my lips feeling moisturised. I'm all about neutral coraly shades of lipstick but this lippie has made me brave enough to wear it outside proudly without feeling self conscious! It gives a good 4 hours wear and fades away gradually, leaving a stain on the lip that you can top up with lip balm if you didn't have the lipstick on hand. Isn't this a perfect colour for the summer? 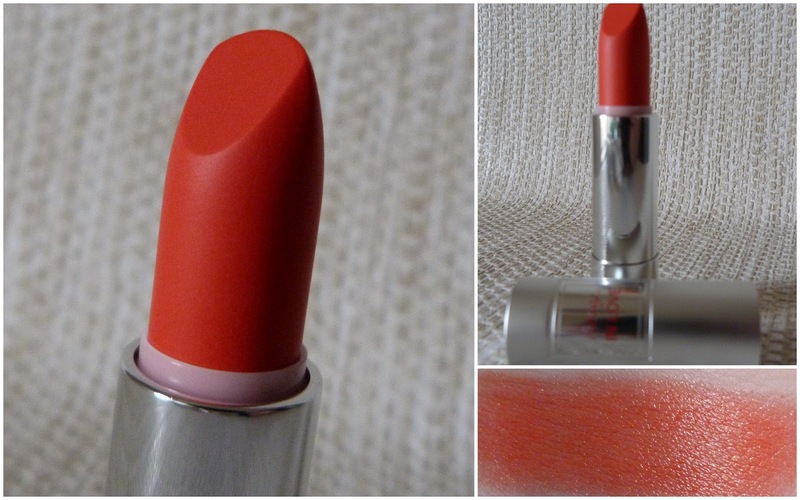 I think this will be a firm favourite in my make up bag over the warmer months, especially if I get a bit of a tan. The Rouge in Love lipsticks are €25 and are available now exclusively to Brown Thomas in Dublin, Limerick, Cork and Galway and will be available on Lancome counters from April 1st. Beyooriful! I'll definitely be having a look at the range, so many to choose from! Oh wow that's really beautiful and not too much - its a pretty good day lippie. And ooooohhh, mah nails are on fiyah! John Frieda Full Repair review and giveaway! Fashionista Cosmetics - now available in Ireland! Ooh new funky topcoats from Catrice - dupe alert! Clarins Eau des Jardins - Spring has sprung!